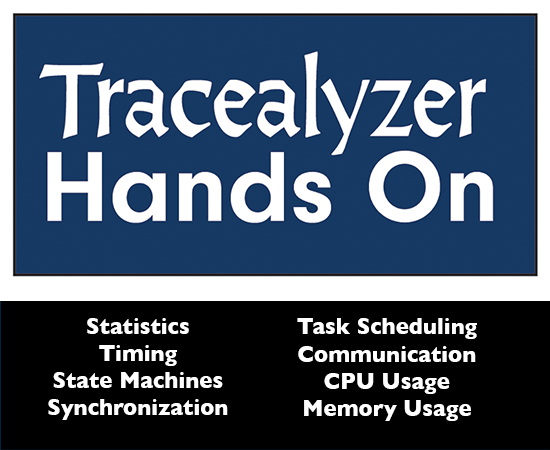 Welcome to Tracealyzer Hands On! When you are stuck with a tough debugging problem, you may turn to Tracealyzer to gain insights into your system and hopefully solve the problem. This has led to Tracealyzer gaining the reputation of being a great debugging tool; However, Tracealyzer is so much more than that. Synopsys ARC Processor Summit takes place in Santa Clara, California, on 11 September and Percepio will be there. CEO Johan Kraft holds a presentation in the morning and we have a stand with Tracealyzer on display – and some great news to tell. Wanting to build more secure code? Erich Styger’s Execute-Only code in GCC toolchain contains some neat tips. FreeRTOS technical fundamentals is a great primer for anyone interested in RTOS architecture. It’s about FreeRTOS but much of the info applies to RTOSes in general.